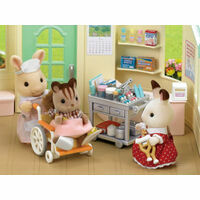 When your Sylvanians have toothache, they pop to the Sylvnanian Village Dentist to get their molars looked at. 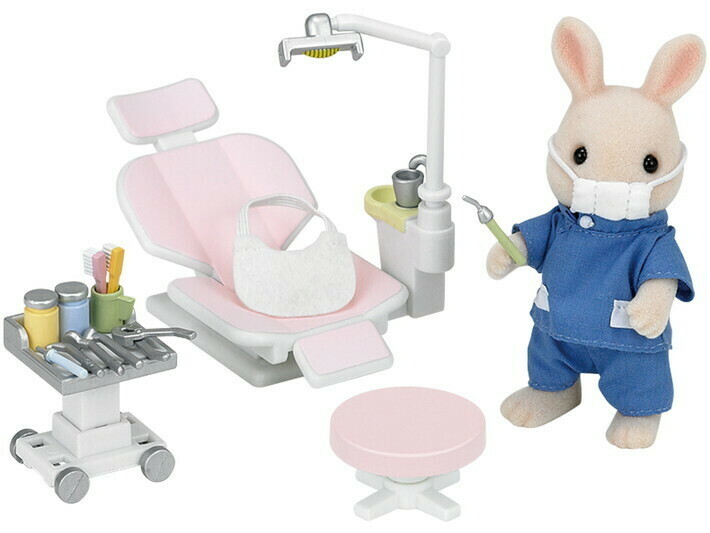 Alex the Milk Rabbit Father is the local dentist, and this set includes him wearing his dentists uniform. 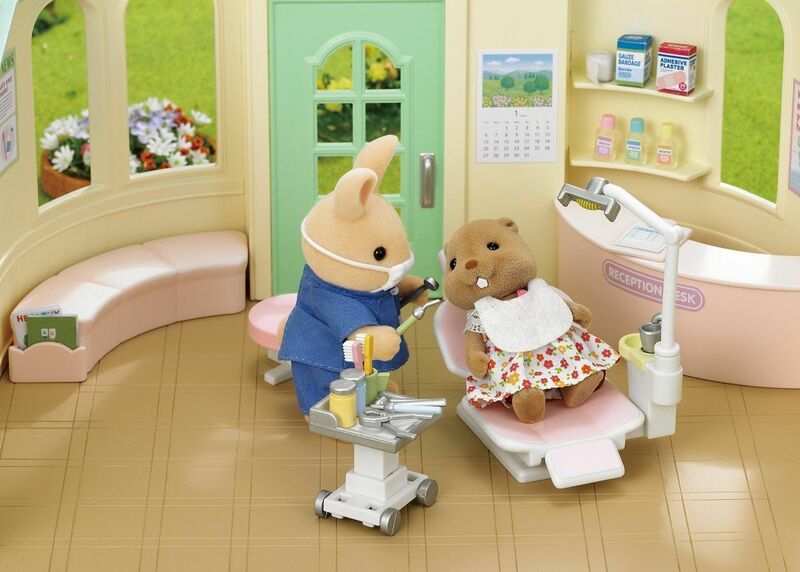 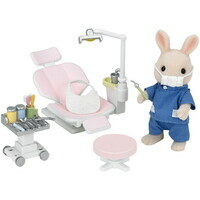 In Sylvania, the dentist is nothing to be afraid of, and many small Sylvanians look forward to their six monthly check ups. 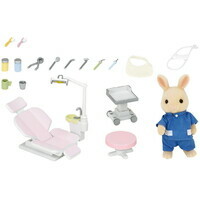 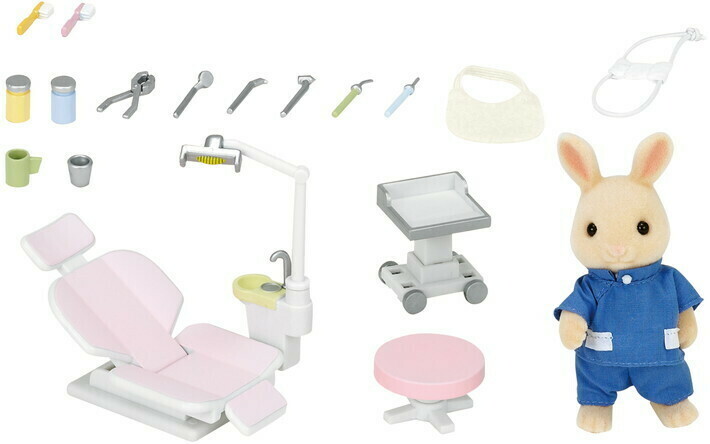 With nibbling and chewing so integral to life in Sylvania, this set comes with a dental treatment chair, as well as a dental table and a chair for your resident dentist. 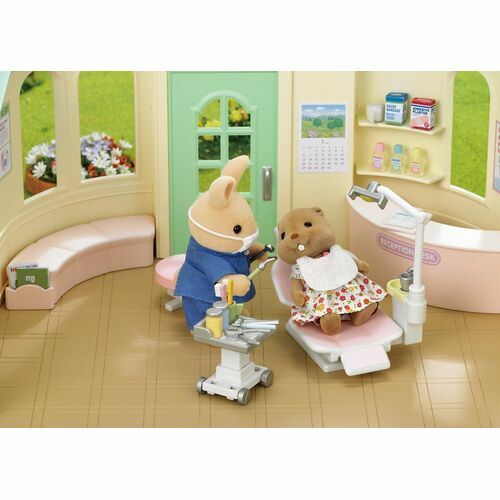 There's also all the things you could need for a check-up including: 2 toothbrushes, a mirror, an apron, 2 bottles, 2 cups to rinse at the end of your session, a mask and 4 treatment tools. 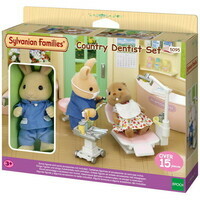 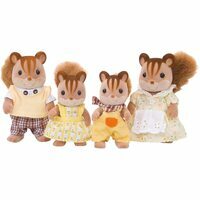 Why not get this set to make sure that your Sylvanians teeth are in the best shape they can be, whether their wisdom nashers have just started coming through, or their milk teeth have yet to fall out! 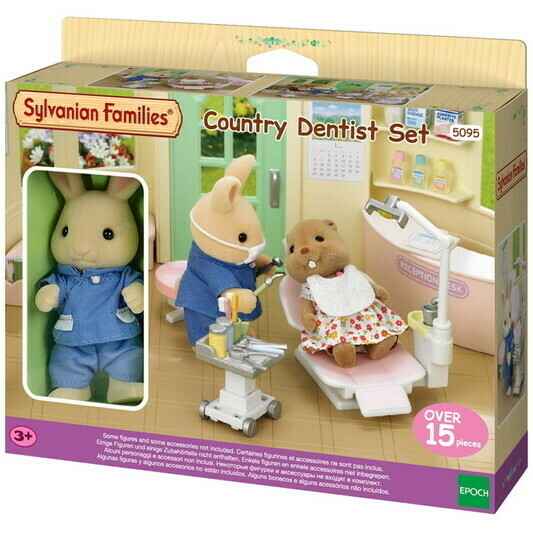 Perfect for playing with alongside the Country Doctor, which is sold separately. 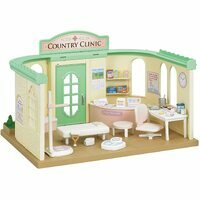 The Country Clinic turns into a dentist office, once you place this set in the clinic.